integrated together using Iris 2.0 from DomainTools. Nothing good or bad can happen on the Internet without the Domain Name System (DNS), which provides visibility of the local and global Internet, and unparalleled intelligence on cybercriminals and attack methods. In this presentation, Farsight Scientist, Dr. Joe St Sauver and DomainTools Director of Product Management, Tim Helming, discuss the value of Passive DNS and Whois data for cyberinvestigations and how real-time DNS observations improve the accuracy and response time to cyberattacks. Dr. Joe St Sauver is an active member in a number of national and international cybersecurity efforts. 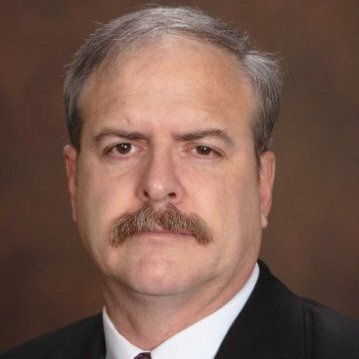 He serves as a Senior Technical Advisor for the Messaging, Malware and Mobile Anti-Abuse Working Group (M3AAWG) and advisor to the Global Cyber Alliance and Cybergreen. He is also a member of the Research and Education Network Information Sharing and Analysis Center(REN-ISAC) and the REN-ISAC Technical Advisory Group. Dr. St Sauver routinely writes and presents on a wide range of cybersecurity topics. Tim Helming has a extensive background and a deep technical and practical understanding of networking, DNS, malware/attack techniques, attack attribution/threat intel, cloud storage, and SaaS platforms, as well as network security from the physical through the application layer. Mr. Helming will demonstrate Iris 2.0, the proprietary threat intelligence and investigation platform that combines enterprise-grade domain intelligence with industry-leading passive DNS data.